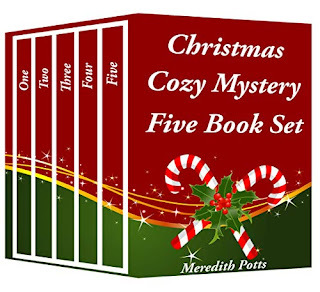 Buy yourself a wonderful gift by purchasing a copy of this five-book holiday set. Note: The only place you can get Candy Canes with a Side of Murder is by purchasing this set. Fun-filled parties. Beautiful decorations. Delicious food. Fantastic presents. Joyous family celebration. And murder. This is shaping up to be a holiday season that Sabrina Daley will never forget. But if she doesn't act fast, it will be for all the wrong reasons. Can Sabrina bring a killer to justice before her Christmas is ruined?